The Iran - US row over the fate of the 'captured' drone by Iran intensifies as one site claims of capturing it while the other says its inventory has been fully checked and there are no deficiencies. The recent Iranian claim to 'capture' a US drone over its territorial waters is being negated by the US the same way an earlier drone shootout was, but later admitted by the USA. 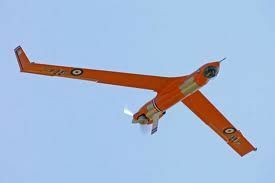 In the latest development, the Islamic Revolutionary Guards said on its website that the Scan Eagle drone had been flying over the Gulf for a few days and was "captured" when it strayed into Iranian airspace. The Scan Eagle is a 1.25m-long "off the shelf" spy plane manufactured by Boeing.